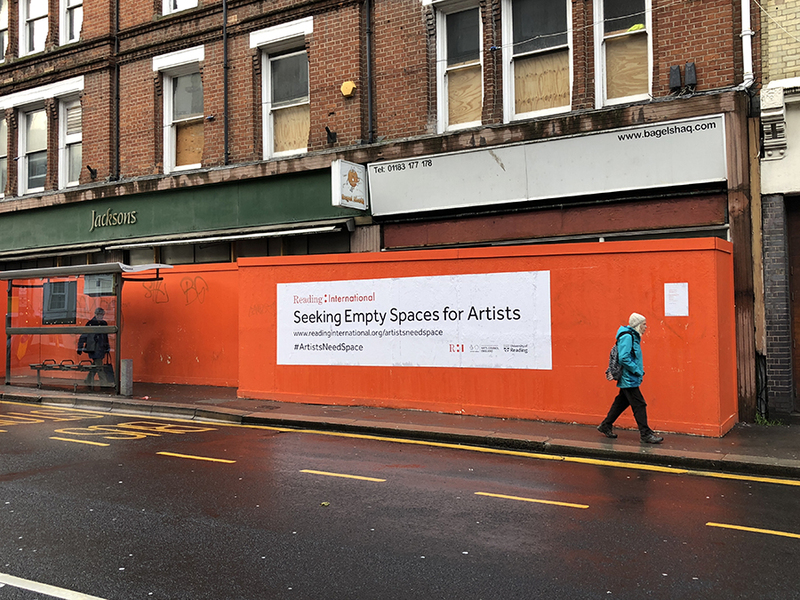 Could you help to provide or identify space that artists could use to work or exhibit in Reading? It could have a real impact on the art scene in the town. Here’s how…. Whether they are new Art School graduates, or seasoned practitioners, Reading is home to amazing artists. We’ll lose them if we don’t sort out our art infrastructure. Reading International is committed to not only bringing award-winning international artists to Reading and the wider area, but also to supporting the local community. And to find space to make art work and host exhibitions for the people of Reading. We want to build a network of Artists Studios and short, medium and long term exhibition spaces for artists. We need a community effort to turn our community into a proper cultural hub. There are hundreds of spaces lying empty in Reading, whether it’s a retail unit or an old office block. We need your help to find these spaces. Do you own an empty retail unit that you can’t fill? Have you seen an empty building that could be an exhibition space or gallery? Do you have a connection to a landlord or property manager who wants to give something back to the local community and invest in Reading’s Cultural Economy? Do you like the idea of working with an artist to create work with your team as an ‘artist in residence? Whether it’s for a long term residency, or a short term exhibition, we know artists who can occupy space. 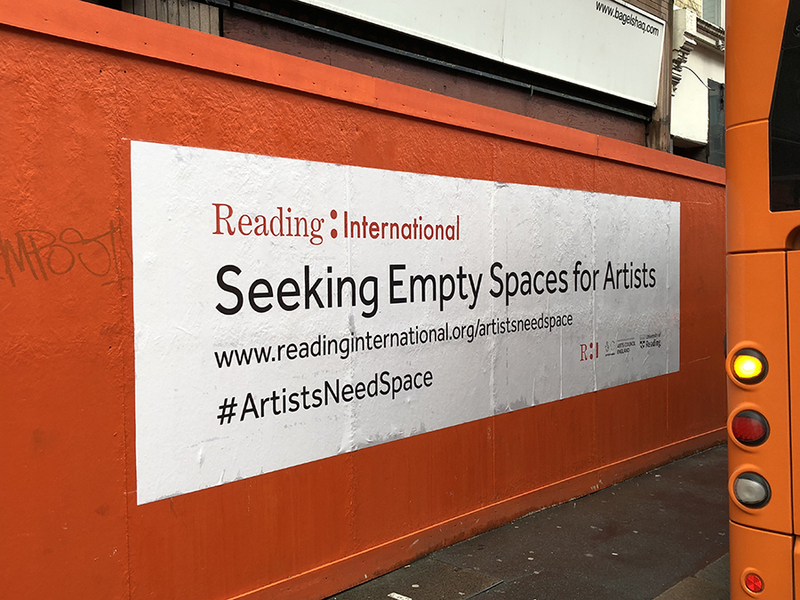 Tweet us @ri_festival or use the hashtag #ArtistsNeedSpace or email info@readinginternational.org with a location for the empty unit, or the offer of a conversation about your own building or empty shop. We’ll log it, and if it might work, start the conversation with the owners. For every genuine heads up, you’ll be credited for your contribution to the Artist Studio Network, and added to the invitation list for every art opening and preview.